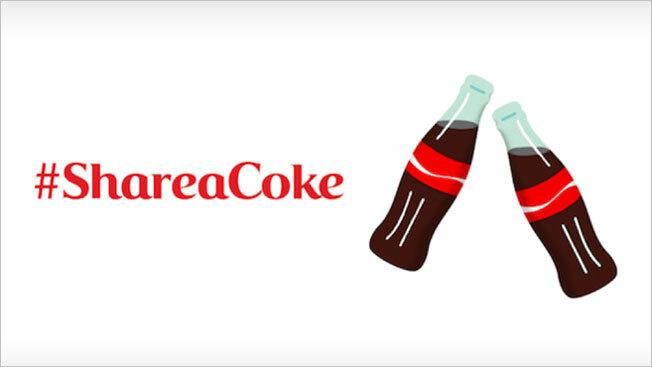 Twitter, Coke and Wieden + Kennedy are clinking ice-cold bottles of Coca-Cola today after teaming up to create the site's first branded emoji that's actually a paid ad placement. If you type #shareacoke into a tweet, two cute little Coke bottles, leaning toward each other in a gesture of multinational commercial affection, will automatically appear. TechCrunch broke the news, and reports that the Coke emoji—unlike previous custom emojis for branded properties like Star Wars and MTV's Video Music Awards—is part of an ad deal. 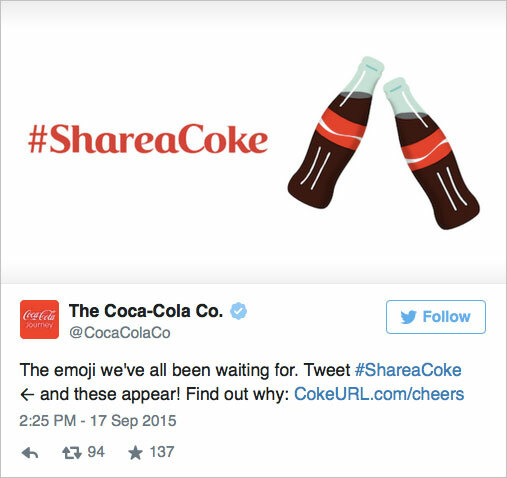 "Coca-Cola is a massive global partner of Twitter and they have been pushing us for some time on building a custom emoji (along with the creative agency of W+K)," says Ross Hoffman, senior director of global brand strategy at Twitter. "We know that people love using emojis and usage has been significantly increasing over time on our platform. This was a perfect opportunity to work with a nimble and smart marketer to make this happen." Hoffman says Twitter's brand strategy team worked with Coke and W+K "on design, creation and strategy on launching this the emoji around the world." He adds: "We have been working with Coca-Cola for years and this muscle memory in terms of relationships, brand positioning and KPIs allows us to move quickly on something of this scale." How will they gauge whether the emoji is a successful ad? 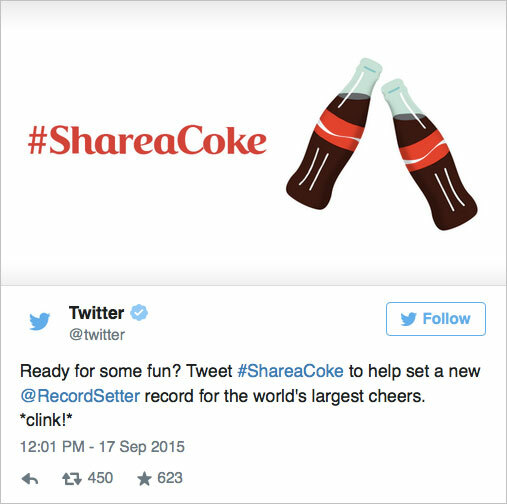 "We can't speak for what Coca-Cola key metrics are," Hoffman says, "but what we generally think about for large campaigns like this are engagement, sentiment, adoption of the hashtag/emoji and total reach."